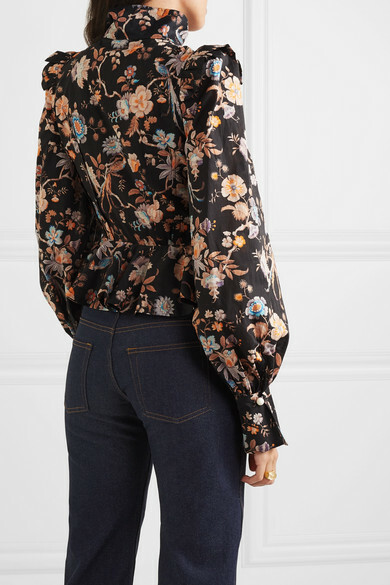 Anna Mason's cotton-poplin blouse has a distinct Victoriana look, thanks to the fabric-covered buttons, puffed shoulders and ruffled trims. 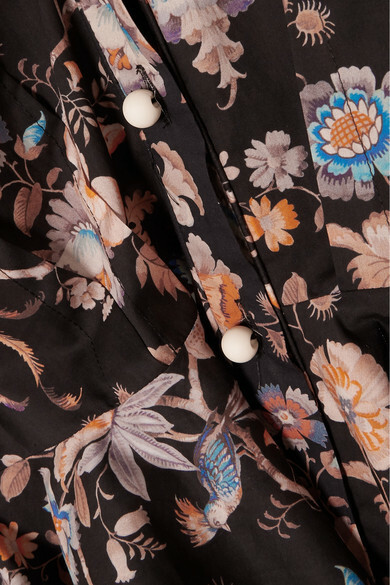 The dark floral print is a subtle way to incorporate a little color into your outfit if you tend to stick to black. 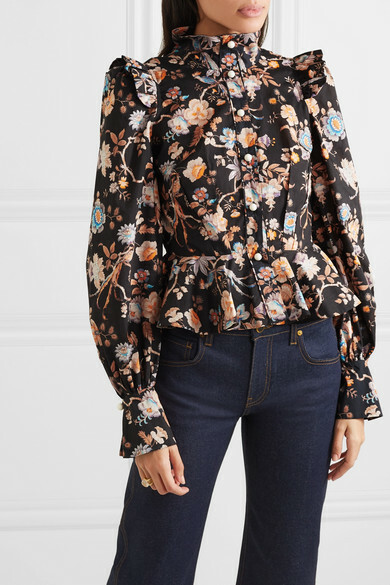 Highlight the fluted peplum hem with slim-leg jeans. 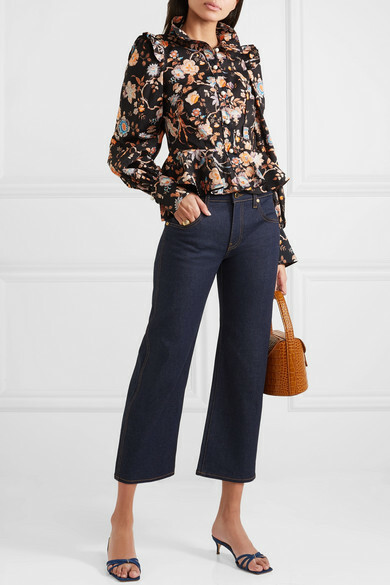 Shown here with: Khaite Jeans, BY FAR Shoulder bag, BY FAR Sandals, 1064 Studio Ring, Ejing Zhang Earrings.